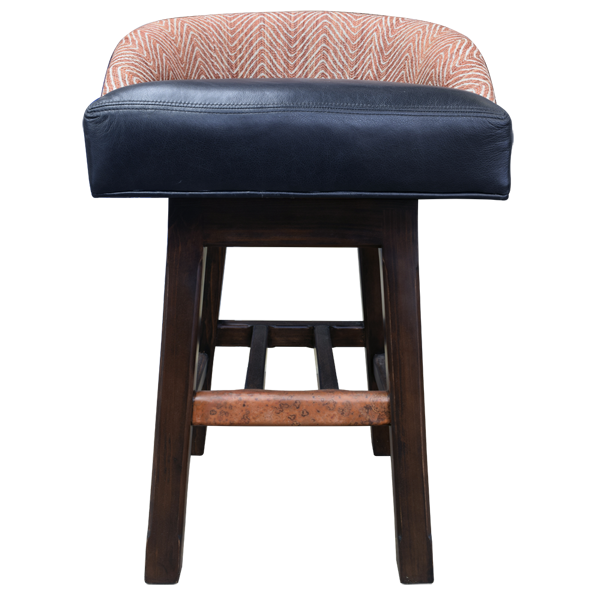 The design of this contemporary handcrafted bar stool was centered around the ideas of balance, harmony, and simplicity. 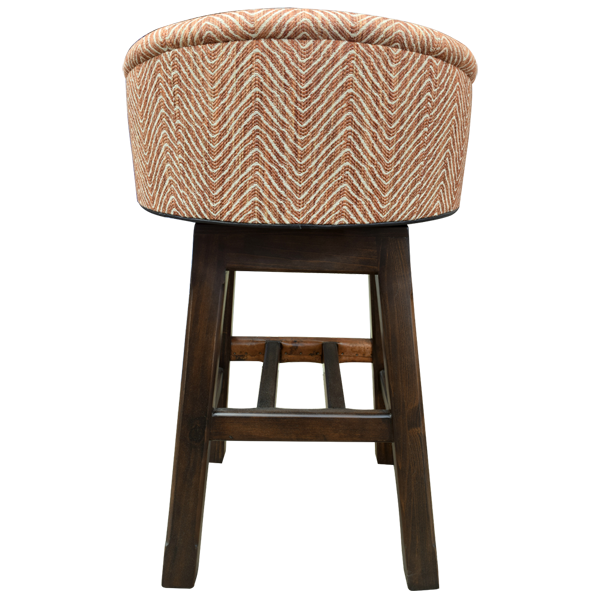 This custom bar stool will create a relaxed tone in your home décor. 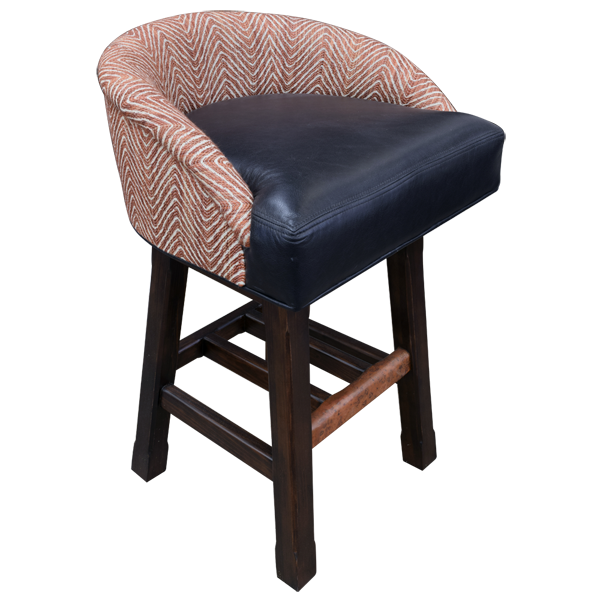 The seat is upholstered in brilliant, black full grain leather, and both sides of the seat back are upholstered with fine patterned fabric. 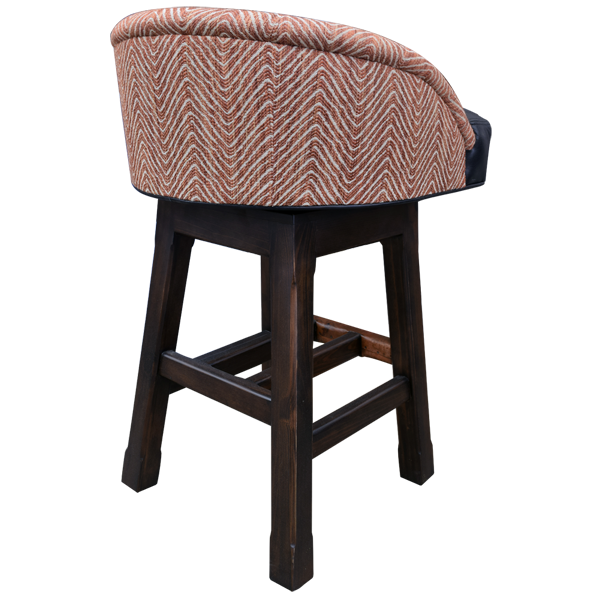 The upholstery is hand tacked with precision to the entire wood frame by our skilled craftsmen. 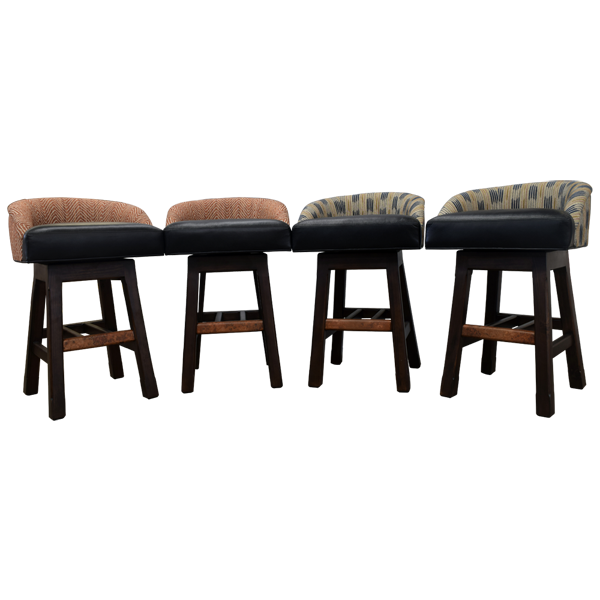 The splayed legs are joined by crossbars at different levels, and the front crossbar is stained in a light, natural contrasting color. 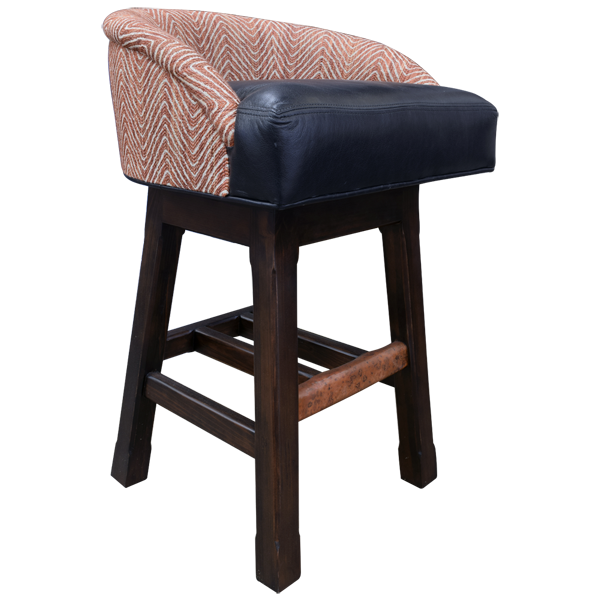 Beautiful and durable, this bar stool is made of the best wood available. 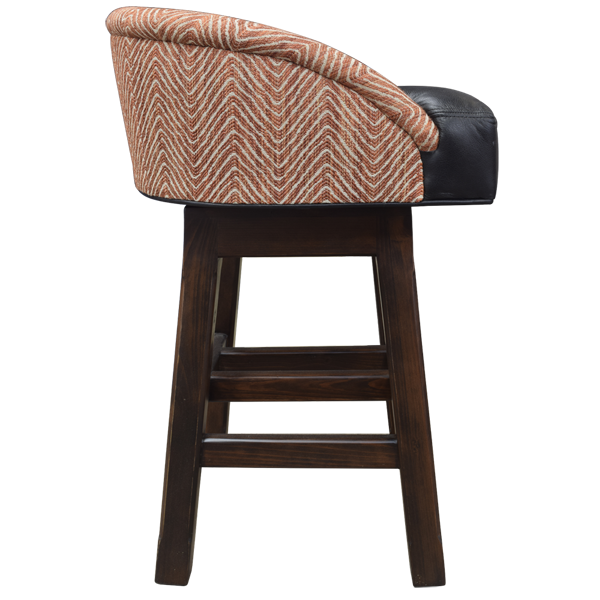 It swivels 180° and is 100% customizable.